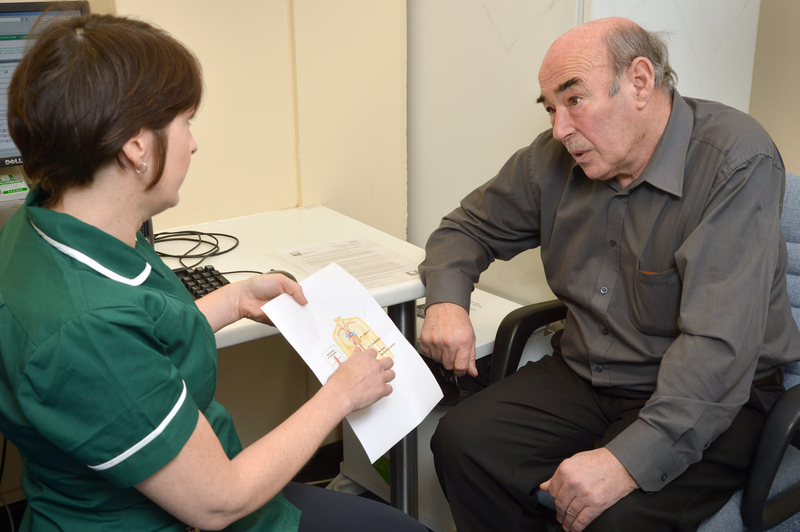 The nurse specialist is an important role in the NHS Abdominal Aortic Aneurysm Screening Programme. All men found to have a small (3.0 to 4.4cm) or medium (4.5 to 5.4cm) aneurysm should be offered an appointment with their local programme’s nurse specialist. The role of this nurse practitioner/vascular nurse is to assess men's general health and give them appropriate advice on lifestyle changes. They may also refer them to other specialists and services, such as smoking cessation, which may be available through their GP or other providers. The nurse specialist often has a role in reassuring men who are anxious at being told they have an aneurysm. The appointment is also an opportunity for the nurse specialist to help improve men’s health. We have now produced best practice guidelines for nurse specialists with local programmes. We developed the guidelines following consultation with nurse specialists, local programme co-ordinators and directors. The Society for Vascular Nurses has also endorsed the document as best practice. If you have any feedback on these guidelines please send it to the PHE screening helpdesk. As the patient representative on the AAA Screening Programme Advisory Board, I endorse the Best Practice Guidance for Screening Nurse Specialists. I would also like to express thanks to all Nurse Practitioners and Vascular Nurses for all the vital help and advice they give to patients. The assessment they carry out enables reassurance to be given in a timely manner and can lead to improvements in men's health generally.